Following his military service, Joseph Hecht, who was supported by his mother and sisters, devoted himself to his artistic career. In 1909, he enrolled in the School of Fine Arts in Krakow, where he studied until 1914. His father Samuel Hecht enabled him to travel in Europe. He visited Vienna in 1911, Rome and Capri in 1913. When World War I broke out, Joseph Hecht was in Berlin. The German authorities ordered him to go to Norway where he stayed until 1919. He lived in a small village near Oslo where he worked on oil paintings, drawings, and engravings. Thanks to his friendship with painter Isaac Grünewald (1889-1946), exhibitions of his work were organized at the Oslo Kunstforening in 1918 and 1919. In 1918, Hecht arrived in Paris and acquired French nationality. As soon as he arrived, he went to the Jardin des Plantes (botanical garden) to observe animals. 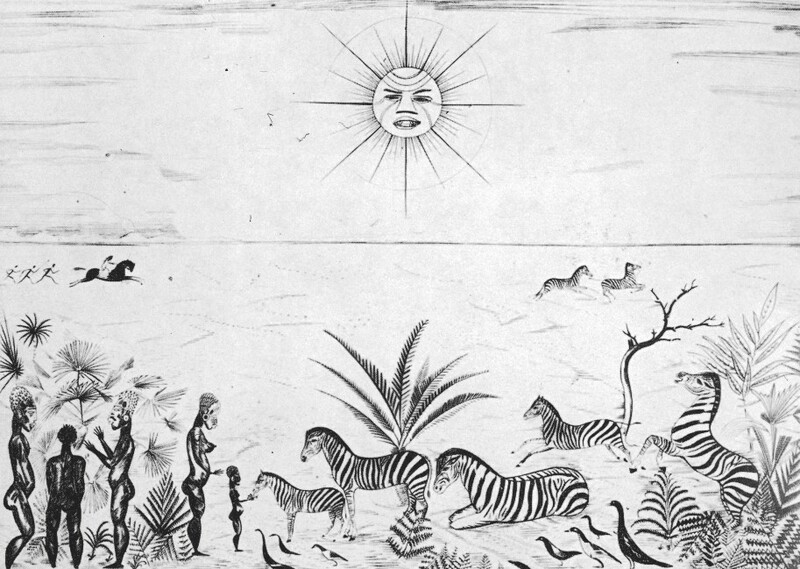 Animals were his favorite subjects; he unremittingly depicted birds, wild animals, and fish, as well as farm animals. He was supported by the sculptor Moise Kogan, deported in 1943, who enabled him to have easier access to the Cité Falguiere artists’ colony, where Modigliani, Jacques Lipchitz, Léon Indenbaum, and Oscar Miestchaninoff were living. Joseph Hecht met Ingrid Sofia Morssing, a Swedish actress who lived in Paris. He married her in 1922, after their son Henri was born. In 1926, he published Noah’s Ark, an album of prints prefaced by Gustave Kahn. He met Stanley William Hayter, a young British man who had recently moved to Paris. 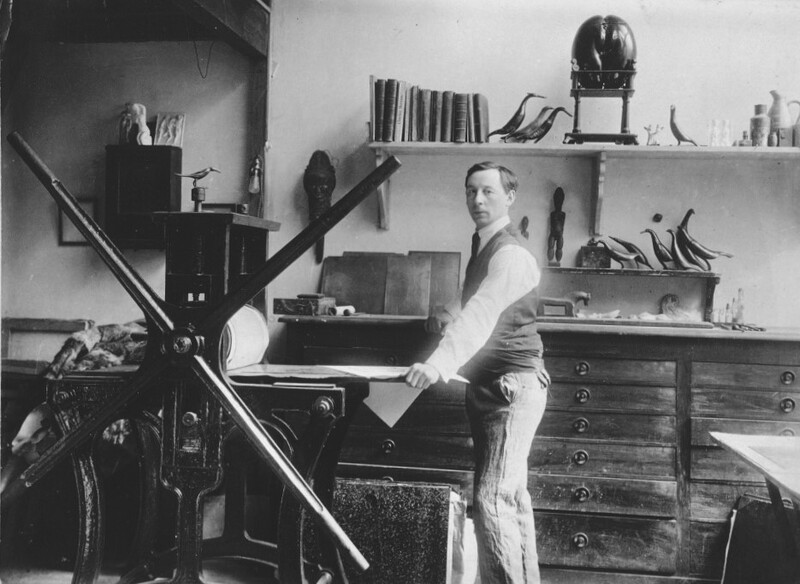 The latter initiated Joseph Hecht to the chisel technique and passed his passion for engraving on to him. In 1927, Hecht encouraged and helped Hayter to create Atelier 17 (studio 17) in Paris. In 1928, he published Atlas, a portfolio of six engravings and a poem by André Suares. In 1928, he created the association La Jeune Gravure Contemporaine (young contemporary engraving) with Pierre Guastalla and nine other artists. As World War II was approaching, Joseph Hecht found refuge in Casablanca and later in Marseille. He then stayed at Banyuls-sur-Mer before leaving for Belley, a small village in the Savoie department. During the fall of 1944, he got back to his studio in the Cité Falguiere but he was too demoralized to engrave. In 1946, Stanley William Hayter encouraged him to resume engraving. Together, they produced The Drowned Woman. In 1948, Hecht developed a printing technique, which was successful in the 1950s. On July 19, 1951, while he was working on a commission of tapestry cartoons from Sweden, Joseph Hecht died in his studio in Paris.